In summer sunscreens are must even if you are going outside or stay at home. Summer is knock down to our door and we must apply sunscreen if we are going outside to protect our skin from damage from UV rays of the sun. 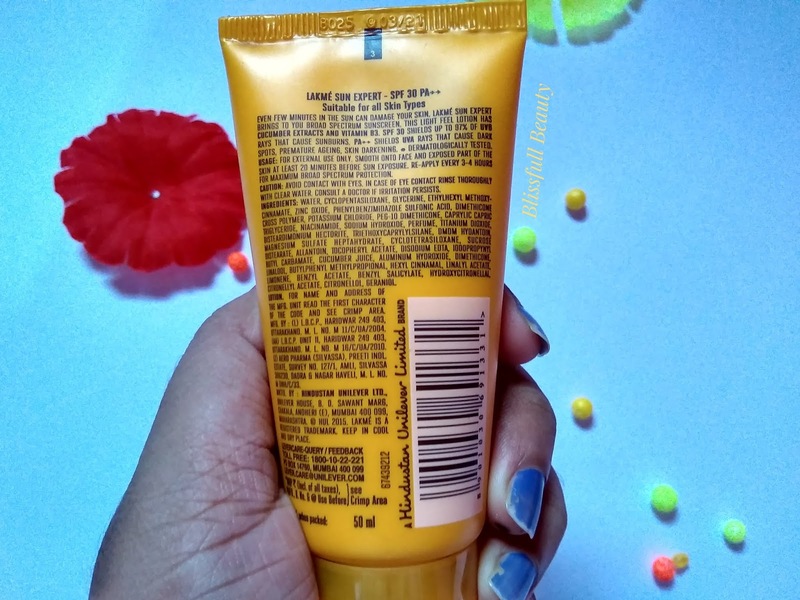 Today I am reviewing a sunscreen of a well-known brand which is Lakme sun expert SPF 30 PA++ UVA UVB ultra matte lotion.So let's get into this post to know more about this sunscreen. Even few minutes in the sun can damage your skin. 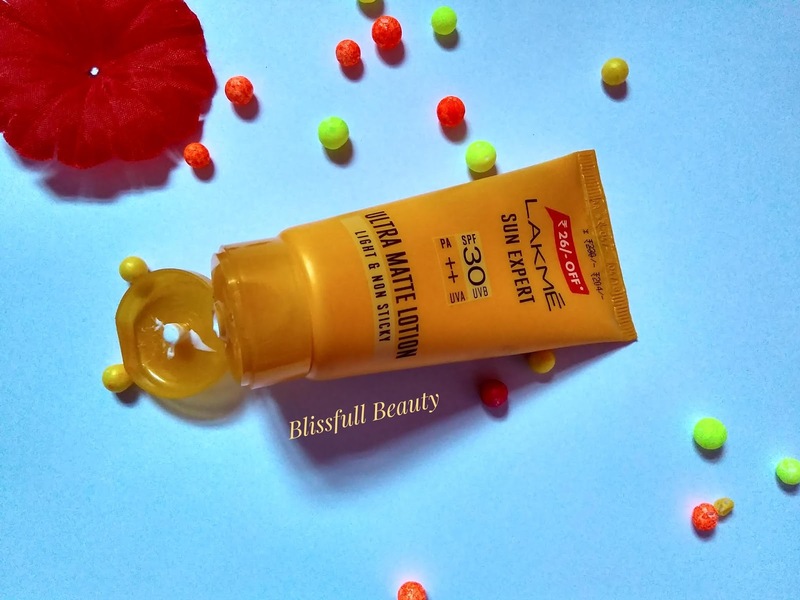 Lakme sun expert brings to you broad spectrum sunscreen. This light feel lotion has cucumber extracts and vitamin B3.SPF 30 shields up to 97% of UVB Ray's that cause sunburns.PA++ shields UVA Ray's that cause dark spots, premature aging, skin Darkening. 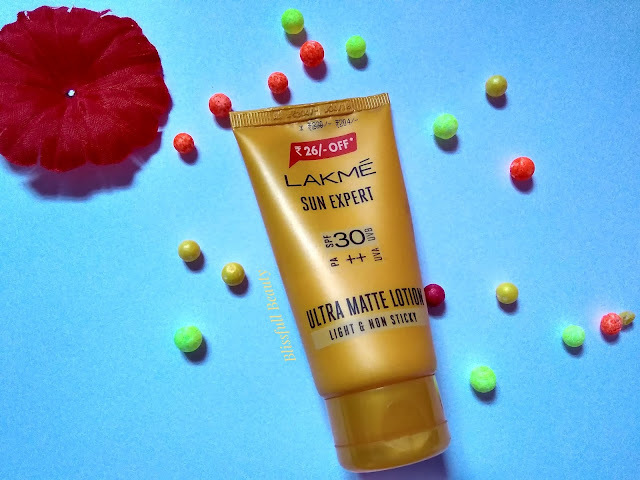 Lakme sun expert SPF 30 PA++ UVA UVB ultra matte lotion comes with a yellow color tube packaging secured with flip top cap. The packaging is travel friendly. 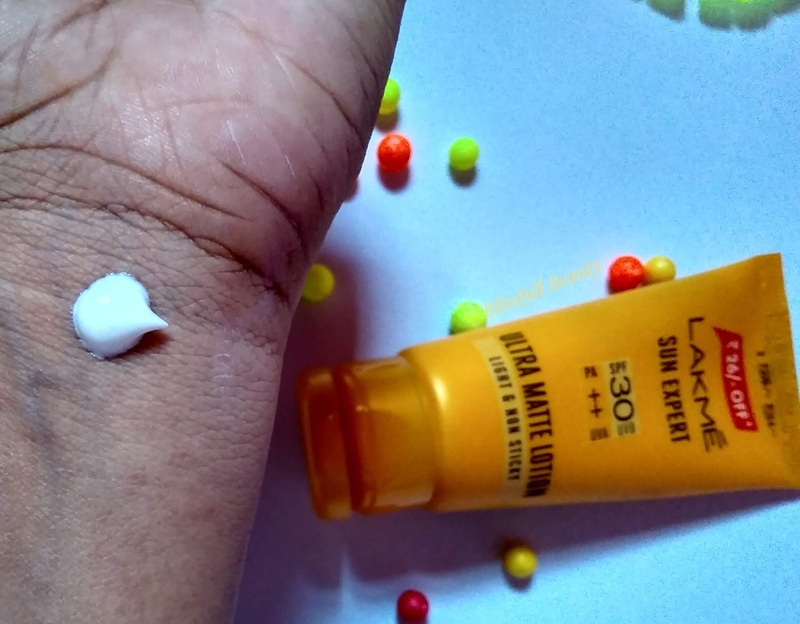 Lakme sun expert SPF 30 PA++ UVA UVB ultra matte lotion has a white color thick creamy consistency which absorbs to the skin takes time and fragrance has very artificial mild fragrance which I didn't like. Apply on to face and exposed part of the skin at least 20 minutes before sun exposure. Reapply every 3-4 hours for maximum broad spectrum protection. ➡Affordable compared to other sunscreens in the market. ➡Giving white cast on skin. ➡It feels heavy on my skin. Lakme is a popular and well-known brand. 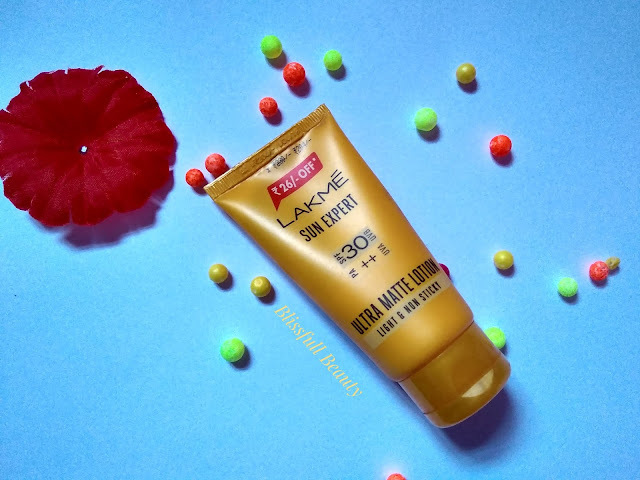 I already used Patanjali sunscreen before which is very affordable but gives me a white cast but now I am using Lakme sunscreen. When I applying this sunscreen it takes time to absorb into the skin due to its thick creamy consistency. It gives white cast on my skin but when it absorbs into the skin the white cast somehow disappear but gives a little bit white cast which I didn't like. My skin feels heavy after using this sunscreen. It is not a lightweight sunscreen. In summer we mostly prefer using lightweight moisturizer or sunscreen but this sunscreen heavy on my skin I feel. This is one con of this product. Coming to the point protection from sunrays yes it protects from sun rays. That is my experience. If you are using this sunscreen then let me know your experience in the comment section below. If you are ok with its white cast and heavyweight consistency then go for it. It is affordable as compared to other sunscreens in the market.